Faster than a speeding bullet! More powerful than a locomotive! Able to row against the current with a happy dog at its feet! Here comes trouble! 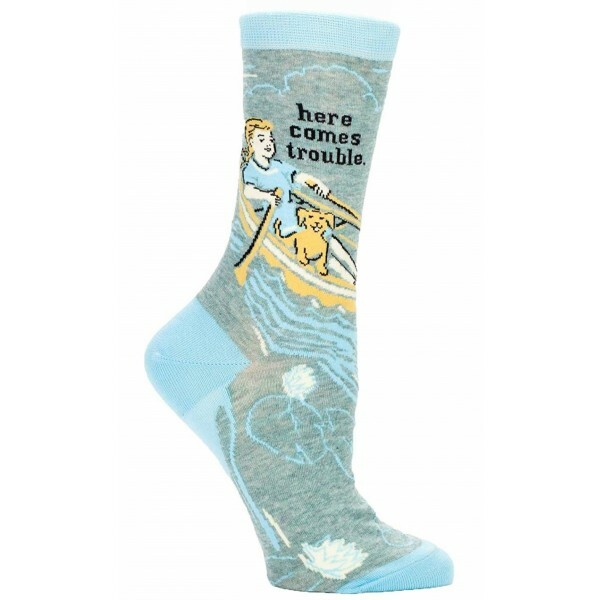 These colorful and quirky crew socks from Blue Q are just the right pick for a woman who knows she's the best kind of trouble. These 50% nylon, 48% combed cotton, 2% spandex socks are available in one size, which fits most women's shoe sizes 5 to 10. 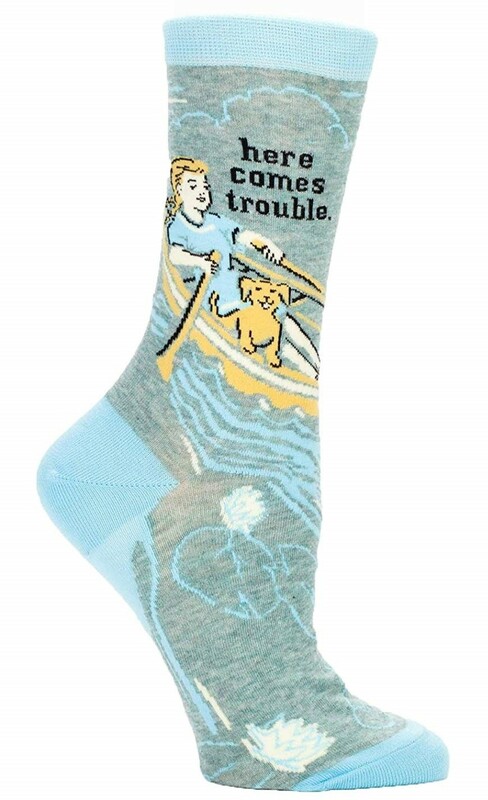 For more fun and empowering socks, visit our Sock Collection.